On the Ledge is a weekly CBC podcast that makes Saskatchewan politics personal. Each week host Adam Hunter, who covers politics for CBC Saskatchewan, will talk to the people behind the stories. In Season 2, Hunter will speak to members of the media. Each will have a connection to politics and the province. New episodes will be released on Wednesdays. This week, Hunter speaks to Justin Reves and Greg Moore, hosts of the Justin and Greg Show. You can download episodes of On the Ledge at CBC podcasts, on iTunes or the podcast app of your choice. You can also catch our weekly political panel, Ledge Chat on Fridays. The panel is moderated by The Morning Edition host Stefani Langenegger and features Regina Leader-Post columnist Murray Mandryk and On the Ledge host Adam Hunter. Episodes of On the Ledge can be downloaded by searching for it using the podcast app of your choice. Justin Reves and Greg Moore are Regina dads, who a couple of years ago, decided to start a Facebook live show. 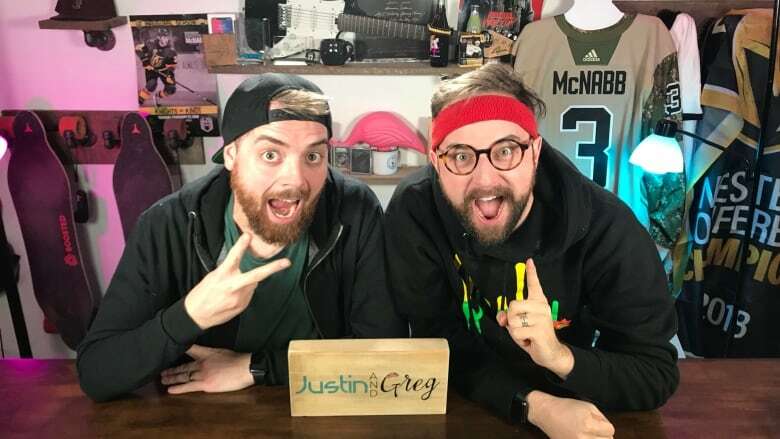 The Justin and Greg Show was born. The two now produce videos they put on their YouTube channel and every other social media platform. They were noticed this past spring as they followed the expansion NHL team the Vegas Golden Knights on its improbable journey to the Stanley Cup. In this episode of On the Ledge, the pair talks about their successes and failures — including their push to get Premier Scott Moe to make the Golden Knights Saskatchewan's official team. While that hasn't happened yet, the guys did get the premier to wear the team's jersey in his office recently. 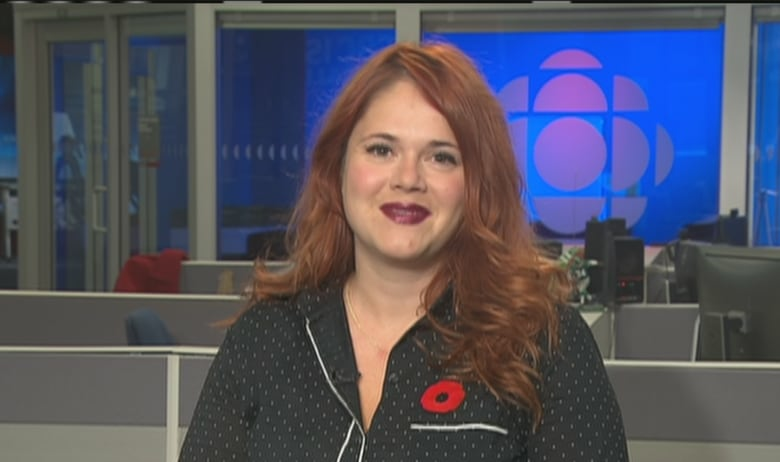 The host of CBC's Power and Politics got her first big break covering the news in Swift Current, Sask. Vassy also talks about how she keeps up with the fast pace of Ottawa politics and why she refuses to take herself too seriously. Tammy Robert takes on many roles. She's gone from being the producer of The John Gormley Show to being an opinionated and well-researched blogger. She has helped the Humboldt Broncos and a few politicians in her role as a media relations consultant. She's also had a few big fights on Twitter along the way. In this episode, she talks about balancing all this, and about the friends she's gained and lost thanks to her opinions. Connie Walker is an award-winning host of one of CBC's most successful and critically acclaimed podcast series, Missing and Murdered — and she's from right here in Saskatchewan. Walker grew up on the Okanese First Nation, about an hour east of Regina. CBC's Connie Walker doing streeters for an Indigenous voting story in Treaty Four Territory near Fort Qu'Appelle, Saskatchewan. Although she's spent about half of her life living away from the province, she still has some deep connections to her home and its politics. In this episode, Walker talks about how her podcast started as a TV story and expanded into hours of storytelling. She explains why she thinks podcasting is one of the best ways to tell Indigenous stories. The episode also details Walker's early career at CBC on the popular kids show Street Cents. Unbeknownst to her, she and Hunter worked together on the same CBC show and the theme song has them both triggered. Jeet Heer has a lot to say about American politics. He's a Trump watcher, Twitter essayist and writer for The New Republic magazine. This vocal analyst of all things American does it all from his home in Regina. 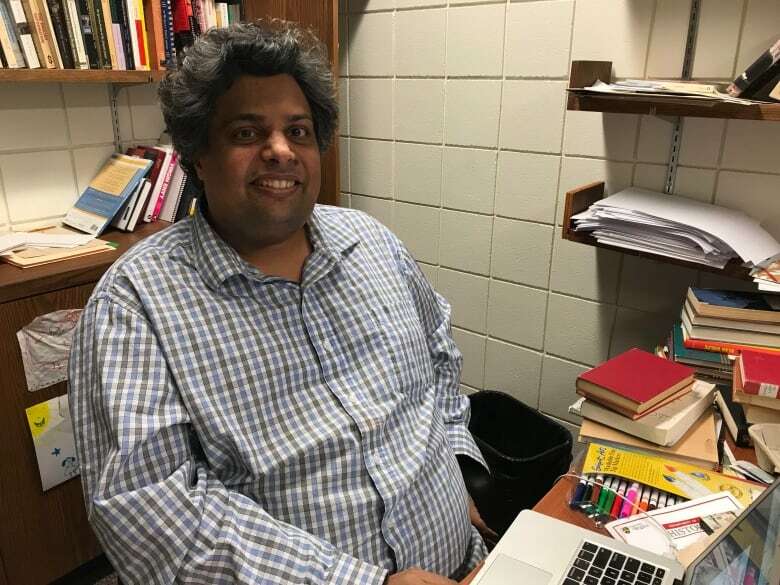 He took some time out from tweeting to talk to Adam Hunter about writing, covering American politics and his love of comic books. 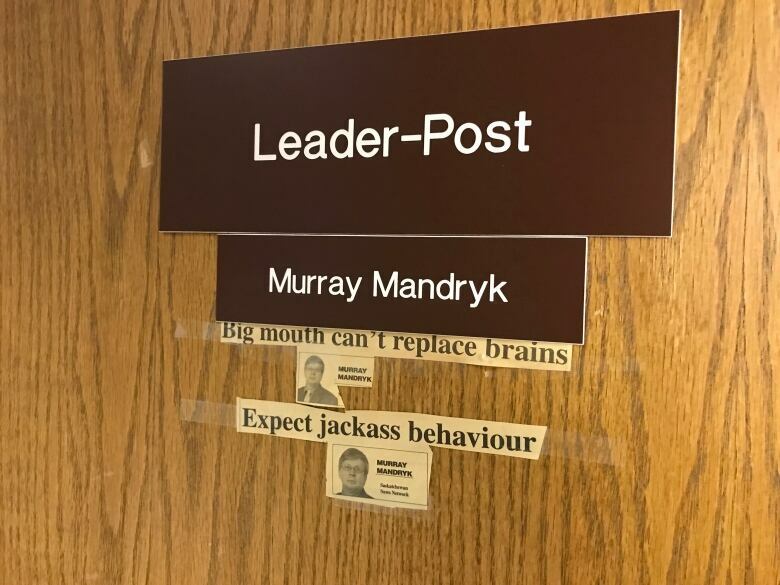 Murray Mandryk has been in the press gallery for so long that he gets an entire podcast to himself. 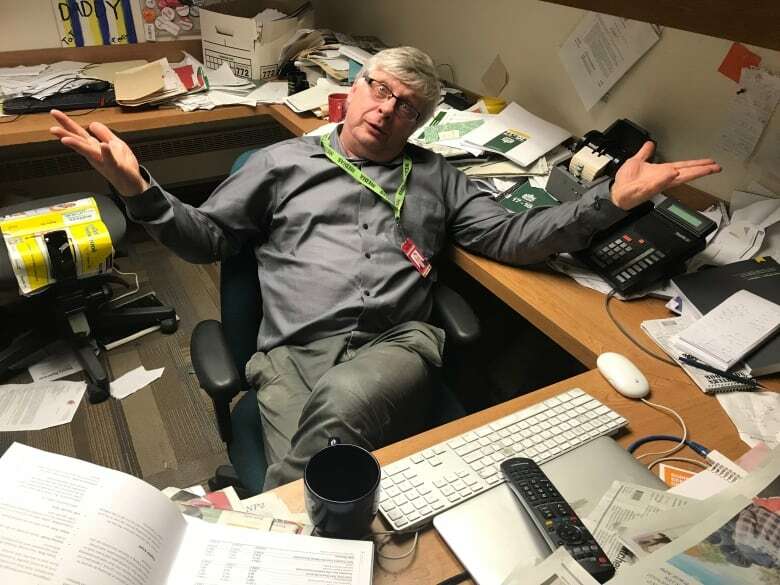 He's been covering politics in Saskatchewan for decades and has yet to suffer from writer's block. In this episode we hear how he feels about the politicians he covers, his least favourite topic to write about, and why he'll never reveal who is responsible for some rogue prorogue party shenanigans. Adam Hunter knocks on the doors of some of his colleagues in the Saskatchewan Legislative press gallery. Meet Ryan McKenna, Dan Jones, Karen Briere and David Fraser. Find out who once scored a goal on the NHL's Carey Price, which reporter actually thinks our traffic is terrible and who can offer life lessons on being a better person thanks to children's television. They talk a bit of politics too. Season 1 of On the Ledge touches on big headlines and takes you behind the scenes at the Saskatchewan legislature. On the Ledge host Adam Hunter sits down with Saskatchewan Finance Minister Donna Harpauer. She was the second woman ever to deliver a budget and the first for the Saskatchewan Party. 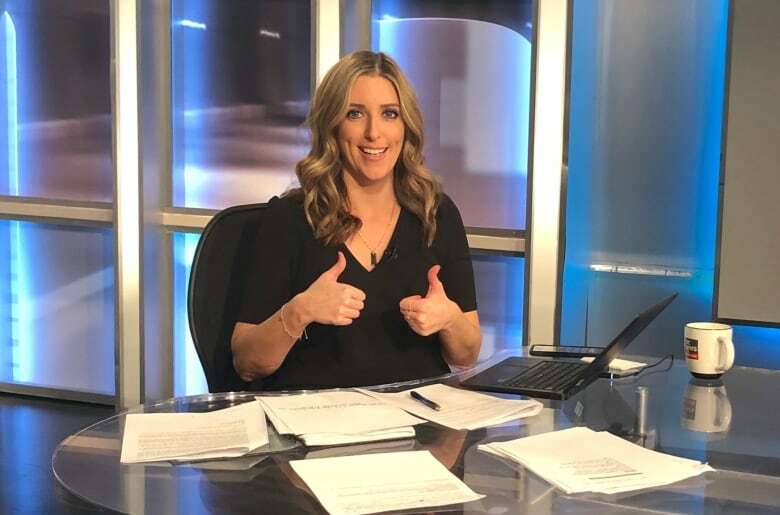 Adam speaks to her about the April 10 budget, her nerves and why being a woman gives the Canadian tradition of wearing new shoes on budget day a "whole new perspective." She reflects her background, the roles she's held that brought her to this moment and her love of math. Episode two of On the Ledge brings you some of the statements from MLAs paying tribute to the people and communities affected by the Humboldt Broncos tragedy. "This is our team. The Humboldt Broncos. This is our community Mr. Speaker. The City of Humboldt. Compassionate. Tough. Resilient. And united," said Premier Scott Moe. Host Adam Hunter brings you the emotional statements from the premier and several other MLAs. On the Ledge host Adam Hunter speaks with Rural and Remote Health Minister Greg Ottenbreit about his marvellous mullet and why he grows his hair out every spring. "I've actually referred to it as more a skullet because it's not in its glorious 80s and 90s form," Ottenbreit said. The podcast also covers Ottenbreit's battle with cancer and how he went from running a environmental and waste disposal business to becoming a cabinet minister. On the Ledge host Adam Hunter speaks with Minister of Parks, Culture, Tourism and Sport Gene Makowsky. ​The former Saskatchewan Roughrider and CFL Hall of Fame offensive lineman was first elected in 2011. In August 2017 he was given a cabinet position. Makowsky talks about move from football to something much more dangerous - politics. 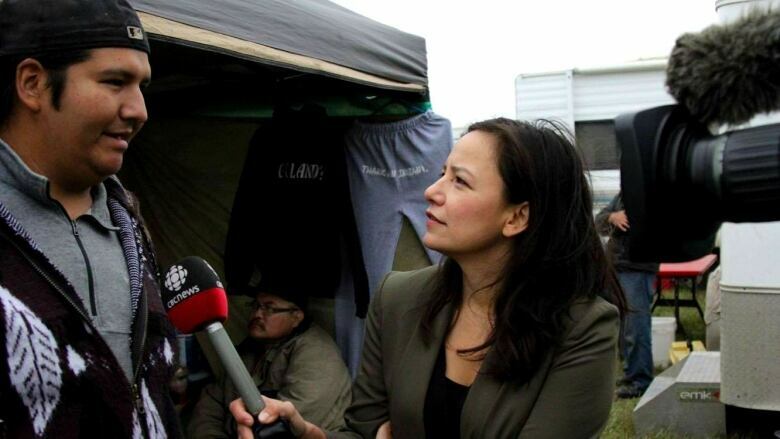 "I gave him (former premier Brad Wall) some free advice every time I talked to him. It was worth the price charged. He started having some conversations about running, I did and the timing worked out," Makowsky said. Makowsky also discussed his short-lived and not so lucrative acting career and his pre-politics career as a teacher. He has a fancy new title and a hat to match. On the Ledge host Adam Hunter speaks with the new speaker of the Legislative Assembly Mark Docherty. He said there was one reason why he wanted to become Speaker, "The hat, I wanted to wear the hat it is pretty cool. I wanted to wear the tricorn." Docherty spoke about his path to the gig, his journey battling multiple sclerosis and whether he would loosen the dress code for press gallery members. ​She was the first woman to lead the Saskatchewan NDP, while also being the youngest current MLA. On the Ledge host Adam Hunter speaks with Regina Douglas Park MLA Nicole Sarauer. She speaks about her career as a pro bono lawyer and how she hopes to set an example for young women looking at a future in politics. And she discusses her favourite north Regina hangouts, what's on her playlist and why the TV show Suits makes her so angry. ​He is one of the newest MLAs but he's no stranger to the legislature. On the Ledge host Adam Hunter speaks with Saskatchewan Party MLA for Swift Current Everett Hindley. He talks Memorial Cup and tales from the broadcast booth during his time as an analyst for the Swift Current Broncos. He discusses his experience working as the assistant to the former premier Brad Wall which included driving him around. He reveals who controlled the radio and whether Prince deserves his own satellite radio channel. And last but not least, he talks about dog shows. ​She used to teach politics at the University of Regina and now she is a politician responsible for post-secondary education in the province. On the Ledge host Adam Hunter speaks with Minister of Advanced Education Tina Beaudry-Mellor. She discusses the transition from the classroom to the legislature and some of the differences between her old and new gigs. She talks about her love of coffee, what it's like being the mom of a quarterback and why she decided to perform in a dance competition for charity. And finally, she reveals an affection for Metallica. He helped save his beloved KFC buffet and he says it might be his greatest political achievement. On the Ledge host Adam Hunter speaks with Weyburn MLA Dustin Duncan. The Minister of Environment talks about the time he almost hit a truck throwing a ceremonial first pitch at a AA baseball game. He discusses his beef with the children's show Paw Patrol, how he chooses his suits and why he loves the legislative library.